Join us for live music in Reflection Plaza or the M-Club at the Madeline for three more dates in August. TOMORROW'S CONCERT will feature the Shake Russell & Michael Hearne and will be located at Reflection Plaza. Babies of the Bush is our newest Merchant in Mountain Village and is located in the Centrum Building right around the corner from the Village Table. Stop by, meet Yvonne and support the Peace Parks Foundation through your purchases of her creative and unique merchandise. The TSRC Town Talks are a community-oriented, engaging, and down-to-earth annual summer lecture/discussion. The talks are every Tuesday night at 6pm at the Telluride Conference Center. Admission is free. Join us on Tuesday, August 2nd from 5-7 p.m. in Sunset Plaza for the Mountain Village National Night Out. This event is put on by our local law enforcement and fire department teams and will feature free ice cream, drawings and emergency vehicle tours. Enjoy an outdoor movie in the cool Rocky Mountain air, lit by stars and moonlight and surrounded by unmatched Telluride views in Reflection Plaza. Next Thursday's movie will feature Star Wars: The Force Awakens! Showtime at 8:45. The Town of Mountain Village will reimburse Mountain Village homeowners 50% of the cost of wildfire mitigation up to $5,000 when defensible space is created around an existing home in Mountain Village. Market on the Plaza is a vibrant local community market providing an avenue to support regional and local businesses that offer homegrown food and homemade products. Market on the Plaza is held Wednesdays from 11 a.m. to 4 p.m. in Heritage Plaza, the center of Mountain Village. The upcoming August 3rd Sunset Concert will feature Dwayne Dopsie and the Zydeco Hellraisers. A veteran of the Telluride Blues and Brews Festival, Dwayne plays a unique, high energy style of zydeco and hails from one of the most influential zydeco families in the world. Telluride's Art Walks, held the first Thursday of the month, now feature two Mountain Village entities...Adam Carlos Fine Arts and the Madeline Hotel and Residences. Join us in Mountain Village on August 4th from 5-8p.m. for this fun and inspiring event! Join us for the next Mountain Village Merchants Meeting to be held on Wednesday, August 10th at 2pm in the TMVOA Conference Room. The agenda will be forwarded to all merchants by the end of next week. We look forward to seeing you there! Catch classic movie favorites on the new big screen at the Telluride Conference Center! The next movie on August 13th will feature The Sting. Admission is free and a cash bar will be available. Doors open at 7 and the movie starts at 7:30. The People Code will be the first in a series of Telluride Leadership Development programs and will be held on August 28-31 at the Peaks Resort and Spa. Save $500 on registration with the promo code NEWSVIP if you register by midnight, Sunday July 31st! The 2016 Telluride Integrative Wellness Summit, presented by the Telluride First Foundation, will be held September 9-11 at the Conference Center and the Peaks Resort and Spa. Purchase tickets by August 9th for special pricing on all passes. On Thursday, September 15, 2016 the Telluride Adaptive Sports Program will host its 18th Annual Bob Miller Memorial Golf Classic. 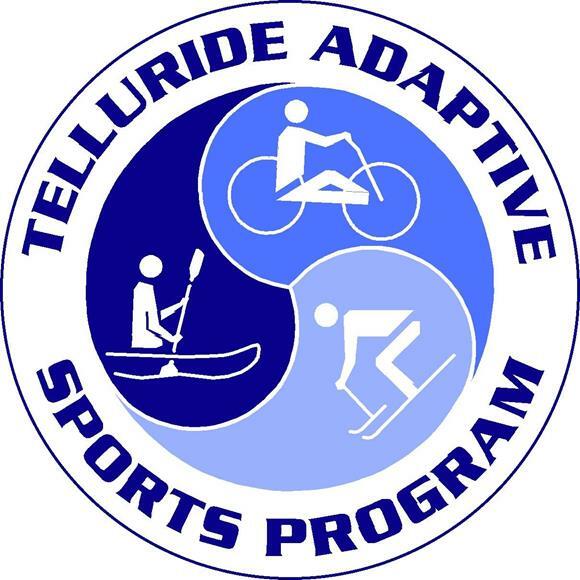 This tournament will take place at the Telluride Ski and Golf Club in the Mountain Village with proceeds benefiting the Adaptive Program’s scholarship fund for low-income participants. Please visit frequently to stay up to date.